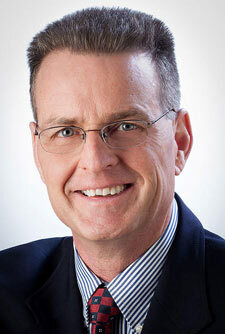 Brent is a Real Estate Investment Expert, Building Contractor and Licensed Florida Real Estate Broker. 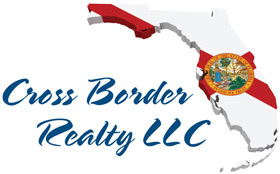 He specializes in helping Out of State, and Out of Country clients, “Navigate” Florida real estate. Navigate means helping clients (Boomers, Snowbirds, Retirees and Investors) avoid costly $$$ mistakes. See 3 Biggest Mistakes below. 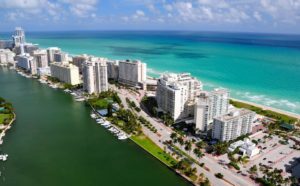 Frequently quoted in national and international media publications, including The Wall Street Journal and the CBC National News, Brent and his wife Cindy, co-authored a critically acclaimed E-Book on Buying Florida Real Estate for Boomers. A prudent and pragmatic Finance and Accounting Professional, who holds both Bachelor of Commerce and Master of Business Administration degrees, he spent the first 20 years of his professional career, as a Financial Risk Management Consultant advising Senior Executives. Brent offers his clients, extraordinary concierge service, cutting edge marketing technology, and a customer centric focus. The process is about you, and making sure, you get the right result. Having spent the last 15 years in Florida, first as part time Snowbirds, then as full time Florida residents, we discovered, there was a ton of misinformation, in print and on the web, regarding ownership of Florida real property. 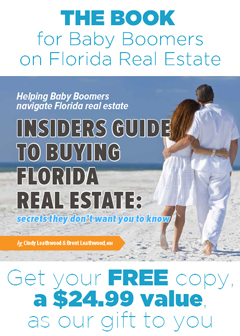 The Insiders Guide To Buying Florida Real Estate is written in simple, plain, and easy to understand language, and provides answers to 99% of all the questions, most Boomers will have about owning Florida real property. Home owners association nightmares are the stuff of legend in our State. Do not buy the wrong property in the wrong community. A knowledgeable real estate professional can explain to you upfront, the ins and outs of the HOA regulations of the community you are considering, and help you avoid 99% of these potential pitfalls. This is another very costly mistake. Everybody knows you need a Realtor to represent you, when buying a resale home. Many do not know, you also need a Realtor to represent you, when buying a new home. The new home sales person in the model home works for the Builder, not the Buyer. They are paid to look out for their employer’s interests, not yours. You will not save $1 by going it alone. You will lose money. A lot of money. One of our largest local builders reported 872 annual sales, of which, 762 were handled by Realtors representing the Buyer. That is 87% of the total. The Builder has already factored paying a finder’s fee into the price. The Builder will not rebate $1 of this money back to you. Builders laugh under their breath, when Buyers try this negotiating tactic, even though they will politely agree with you. Professional representation costs you $0, why would you fend for yourself, in a market you know almost nothing about? Buyers know less than 20% of what they actually need to know, to get a great deal. Having gone through the new home buying process hundreds of times with clients, we know all the pitfalls to avoid, and how to make the process go smoothly. Do not go it alone, get professional representation, it costs you $0. Not doing this is the most costly of the 3 mistakes. But everyone has heard the old saying, you can lead a horse to water. We are in the business of helping our customers solve a problem. Our ability to do that, is the sole reason we have a thriving business. We are here to help you through the entire process, and get a great deal. INCOME: The rental income does not justify the $/sq. ft. purchase price. EXPENSES: The monthly expenses are too high, relative to the property type and rental income produced. CAP RATE: The capitalization rate is too low to justify the investment. HOA REGS: The home owners association regulations are too restrictive, or do not permit the intended use. Frequently overlooked or glossed over by some sales people, the long run financial consequences are catastrophic if a mismatch occurs. "We moved here for business. We knew nothing about Bradenton. Brent patiently and professionally, explained the advantages and disadvantages of many different communities. He is always available to help. We would definitely recommend him to anyone."